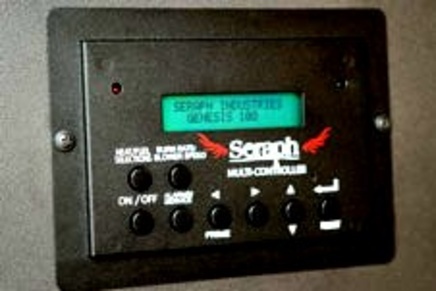 All Seraph models come standard with the Solid State Multi-Controller control, this is the best pellet stove controller on the market. Easy to operate no blinking lights for trouble shooting, our controller will display the alarms. From fuel to fuel you can see the heat value you are getting from the fuel and you can find the best efficient burn for the different fuels. The Multi-Controller also keeps track of how many days the unit has run. DON'T COMPARE US TO THE STANDARD WOOD OR CORN STOVE WE BUILD HIGH END STOVE'S FOR HEAT AND ADAPTABILITY TO BURN DIFFERENT PELLETS & BIO FUELS, AND A PRODUCT THAT LAST!